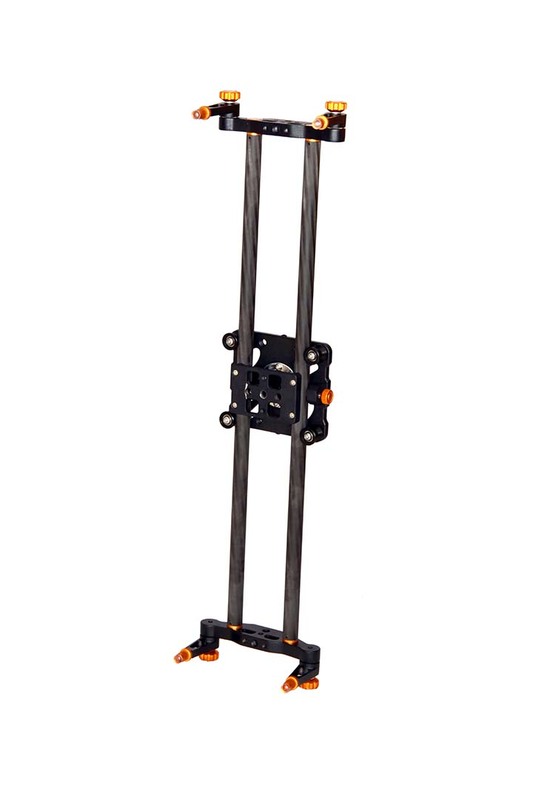 Strong, yet light weight, the Tyfy Pro60 Lightweight 60cm Carbon-Fibre Slider enables you to create cinematic camera motions with the greatest of ease. 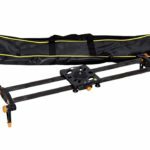 The Tyfy Pro60 Lightweight 60cm Carbon-Fibre Slider is comprised of 2x strong, 20mm wide Carbon-Fibre rods, with a 12.3 x 13.9cm metal platform, held to the rods by 6x durable grooved wheels. 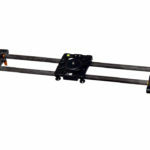 This allows the 60cm Lightweight Carbon-Fibre Slider to smoothly glide across the slider with little to no lateral movement. The Wheel resistance can also be adjusted, making it easier for you to control the speed of the slide motion. 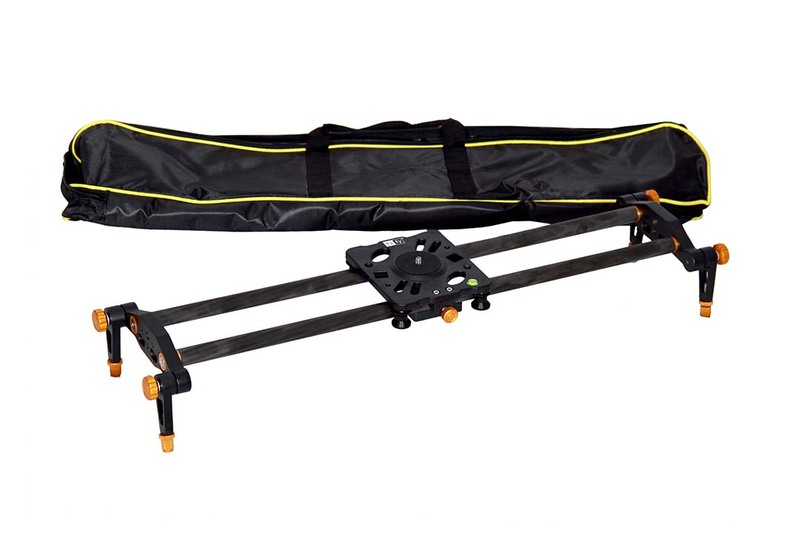 The Tyfy 60cm Carbon-Fibre Slider features four folding legs that are independently foldable, and the height of the legs can be adjusted a height of between 9.4cm and 13cm. If you need your slider to be higher off the floor, it does also feature a plate which features several ¼” and 3/8” female thread, enabling you to mount it to a tripod or light stand etc. 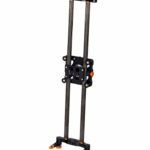 The Mounting plate features a 3/8” thread the enable you to attach a ball head or a fluid head, which you can then mount your camera to. 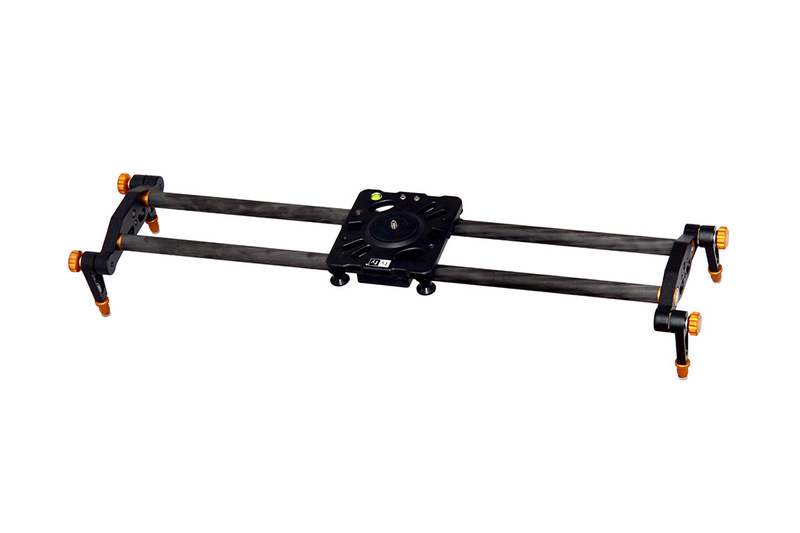 The Tyfy 60cm Carbon-Fibre Slider is the perfect solution for videographers who require a light-weight and portable slider to achieve smooth linear camera motions.